← My mood has been low recently – what will help me feel better? boys report that they have gambled online for money and 12% report doing so frequently (2-4 times a month or more). 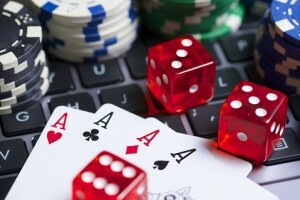 There is growing evidence that gambling has the same potential to become addictive as drugs. If you are concerned about your son, here’s how you can help. Talk to your child about the dangers of online gambling and share your concerns about him. Research shows that the earlier a person starts gambling, the more at risk they are of developing a gambling problem. Set a good example – you are an important role model, so limit your own gambling behaviour and don’t do it in front of your children. Use your internet service provider’s safety tools to block gambling sites (as well as other inappropriate online content). Do the same for any mobiles, tablets etc. Mobile devices have settings to activate parental controls. For more on internet safety for children visit the NSPCC website. In addition, set clear rules about which sites your son is allowed to visit and which ones he isn’t. Track which websites your son is visiting. Ensure he doesn’t have access to a credit card for payment online. Keep computers in common areas. Or contact Westend Counselling to discuss how counselling and therapy can help. This entry was posted in teenagers and tagged behaviour, respect, teenagers. Bookmark the permalink.